Central Civil Services (Conduct) Rules, 1964 provides that no Government servant shall accept or permit any member of his family or any other person acting on his behalf to accept any gift. The said rules further provide that “gift” shall include free transport, boarding, lodging or other service or any other pecuniary advantage provided by any person other than a near relative or personal friend having no official dealings with the Government servant. 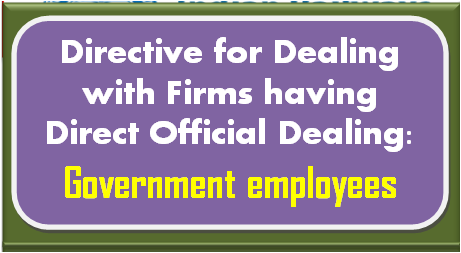 Further, it has been indicated in these rules that a Government servant shall avoid accepting lavish hospitality or frequent hospitality from any individual, industrial or commercial firms, organisations, etc., having official dealings with him. 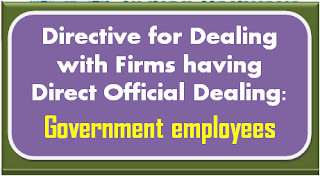 Similar provisions are in existence in All India Services (Conduct) Rules, 1968 in respect of Members of All India Services. However, with reference to any Public institution, Government of India vide O.M. No. 371/13/87-AVD-III dated 19.9.1988 issued Single Directive regarding cooperation and facilities to be extended by the administrative authorities to CBI during the course of investigation. CBI has further issued internal guidelines/ circulars on requisition of facilities from Government Department and Central Public Sector Undertakings but Conduct Rules do not allow CBI enquiry officer to take or accept any kind of hospitality from any Private Institution with whom the officer has direct dealing in official capacity. Such data is not centrally maintained. Whenever, any violation of the rule is reported, the concerned employee is liable to be proceeded as per the provisions of relevant Disciplinary & Appeal Rules. However, during the last three years i.e. 01.01.2015 to 30.06.2018, action against one CBI employee was taken for violation of these rules/ guidelines.